The 8th of May was a very sad day for many people in the conservation and animal welfare world as we learnt that our fellow campaigner, Francisco Goncalves, had lost his battle with cancer. 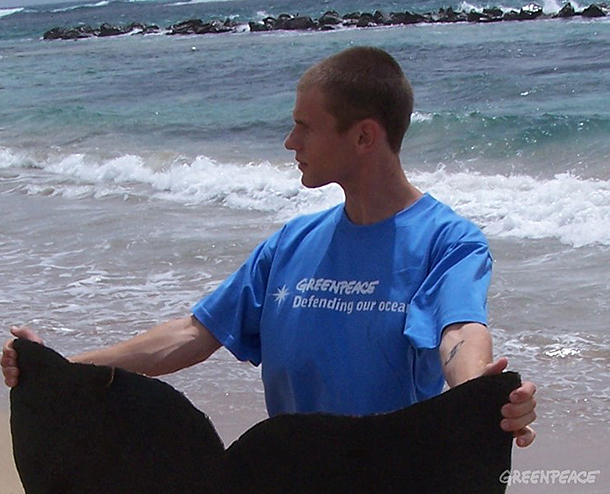 Francisco had dedicated his life to protecting whales, elephants and other wildlife. He has been heavily involved in the campaign to end whaling and has also been working to ensure elephants, polar bears and other wildlife aren’t killed for their skins, ivory or other products. Recently he was focused on stopping the sale of wildlife which is being traded illegal over the internet. In Francisco we saw someone who coupled his commitment to end the suffering of animals with an enormous amount of compassion and positivity towards all the people he came across. The outpouring of sadness expressed by his friends and fellow campaigners shows how many people were touched by his passion for protecting animals and embracing nature. For me personally Francisco always lifted me up when I was down, inspiring me to keep fighting for the animals. I was struck by his sincerity and his unwavering dedication. His death is an enormous blow, but he leaves behind memories which will continue to make us all work to be the best campaigners we can possibly be in order to do justice to his legacy.